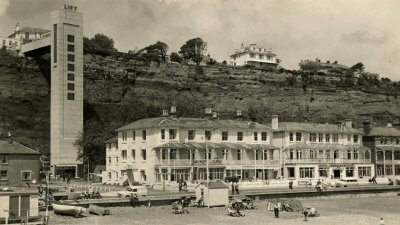 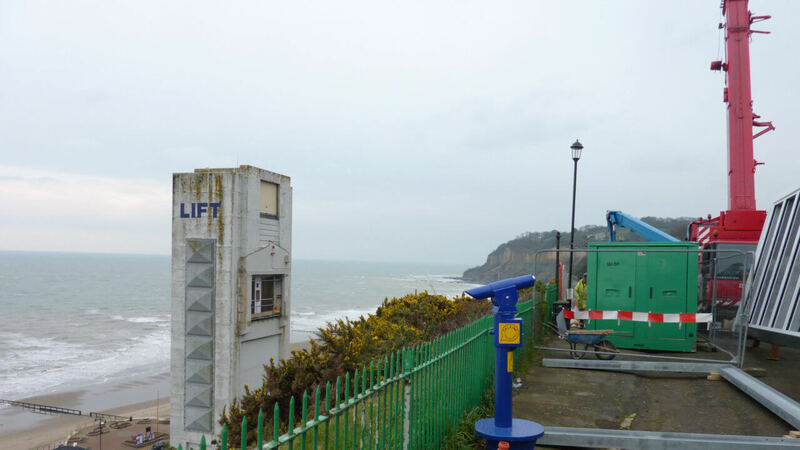 The original Cliff lift was constructed around 1891 to service the expanding tourist trade to the shanklin beach and chine areas, shortcutting the lengthy cliff top or zig zag walks. 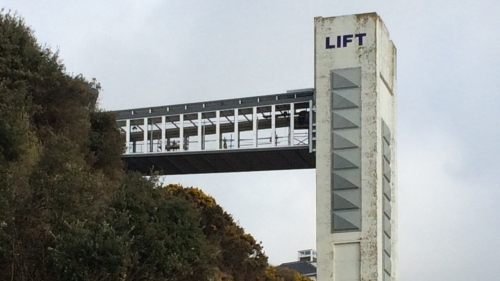 The hydraulic lift carried passengers from the cliff top to the esplanade some 45 metres below. 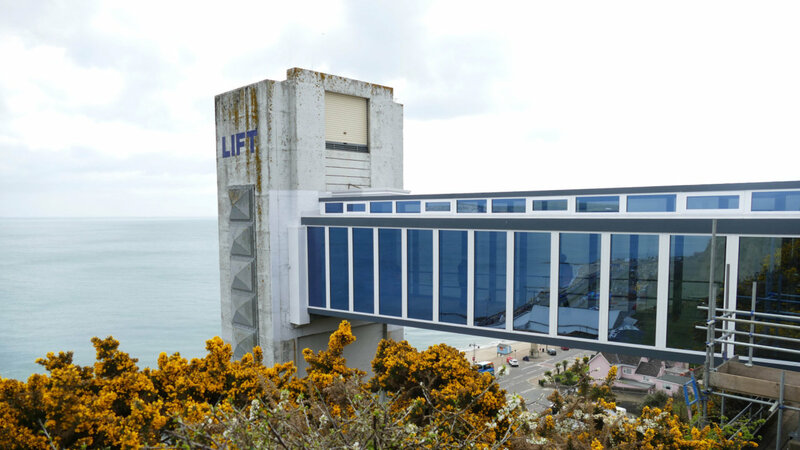 The lift was badly damaged by German bombers during world war 2 and was eventually demolished with explosives in 1957 after which a new lift was built, re-opening in 1958. 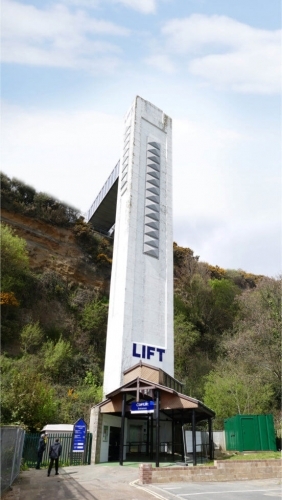 The new lift has not been without its troubles and a replacement walkway and covered canopy were added sometime prior to the millennium. 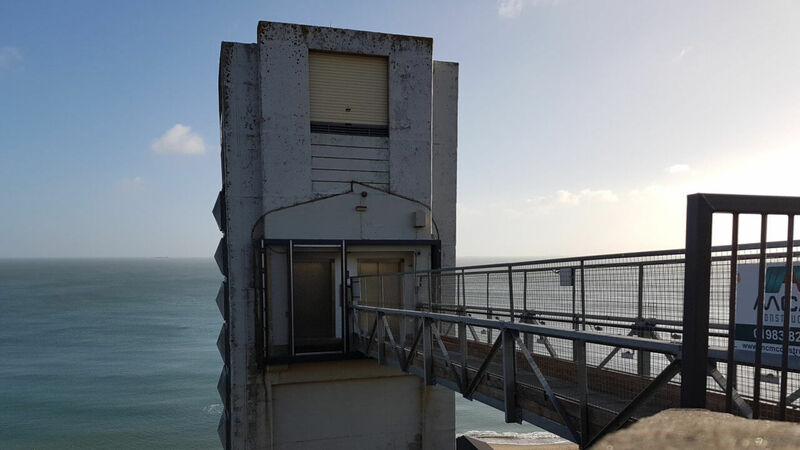 However the unforgiving marine environment again took its toll when scheduled a pre-season inspection in March 2015 revealed unexpected corrosion levels on the walkway and support structure. 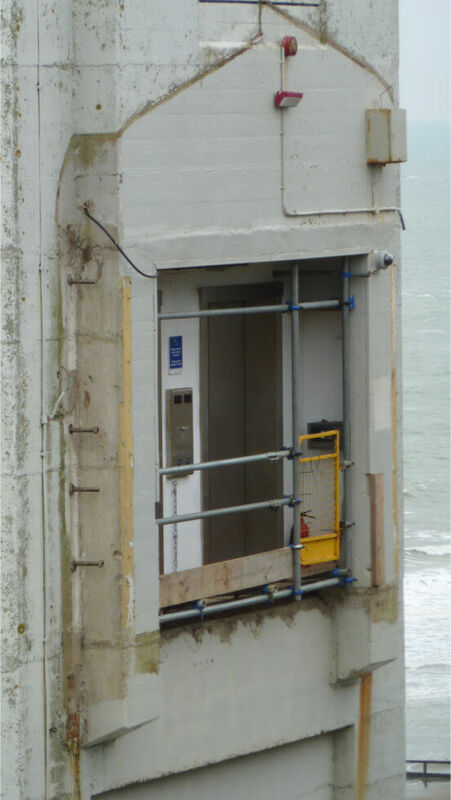 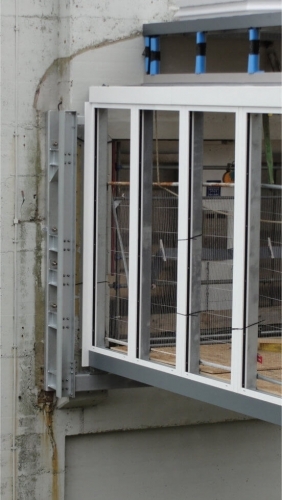 For safety reasons the lift had to be closed to allow the corroded walkway and canopy to be removed. 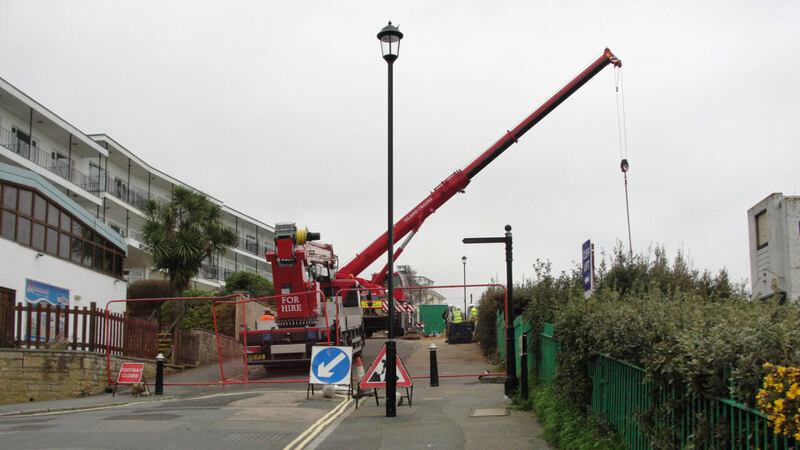 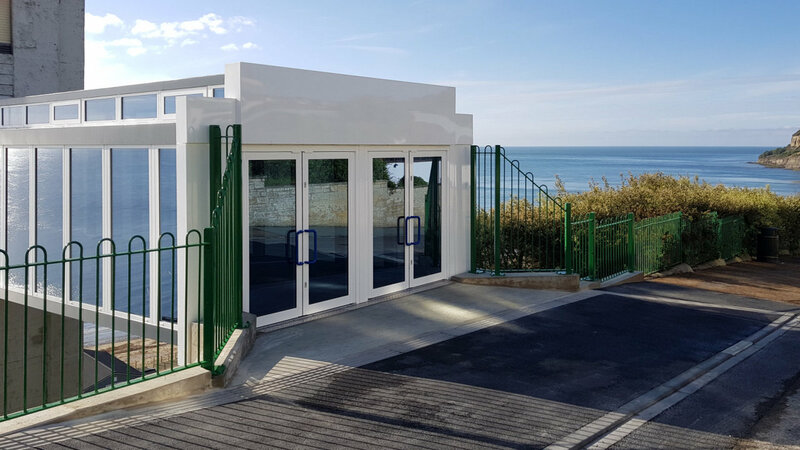 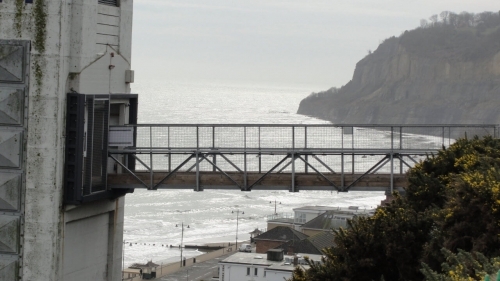 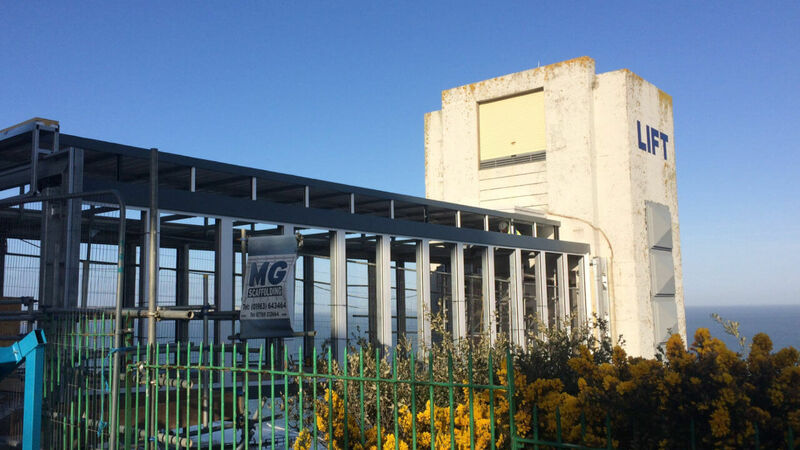 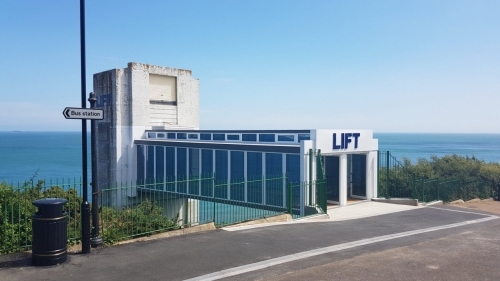 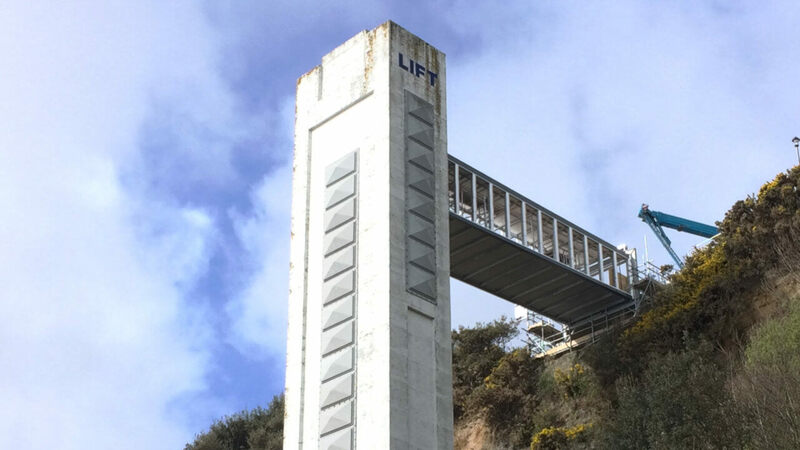 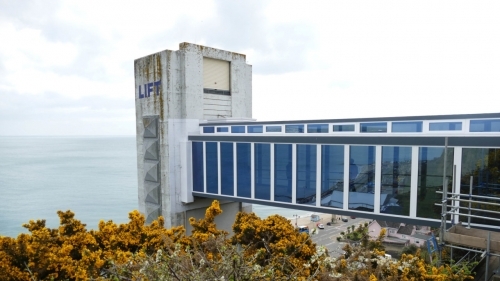 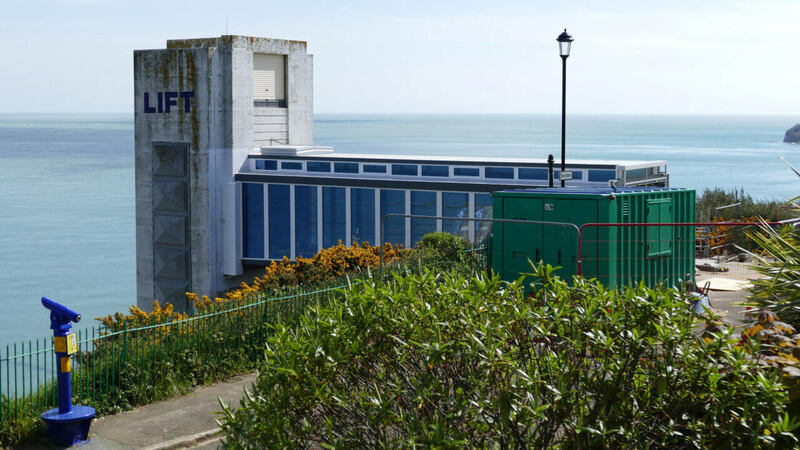 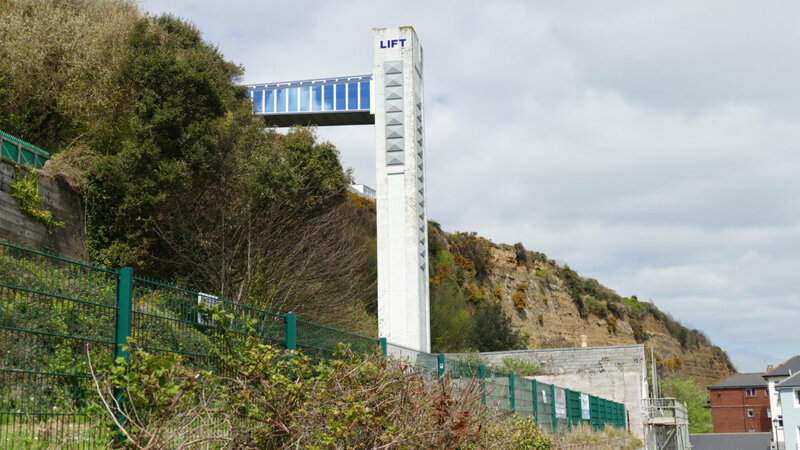 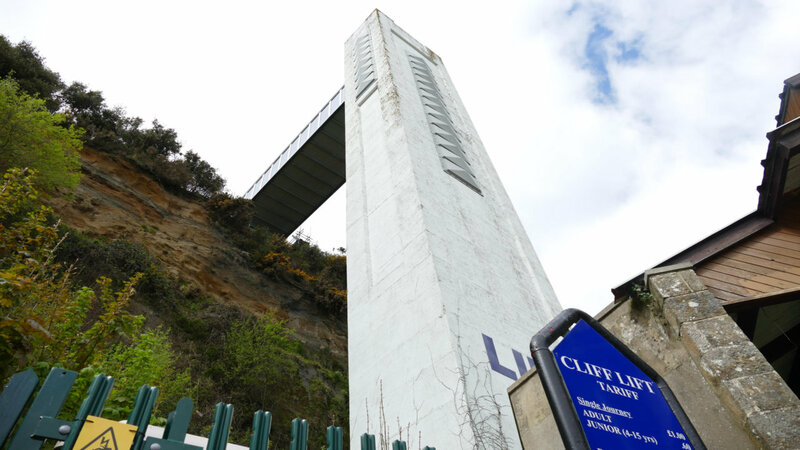 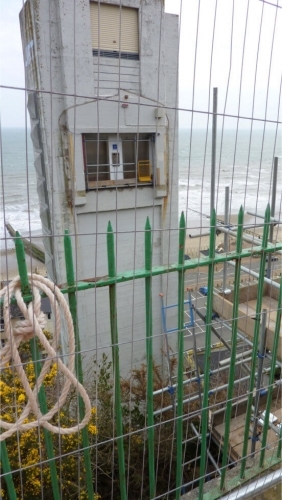 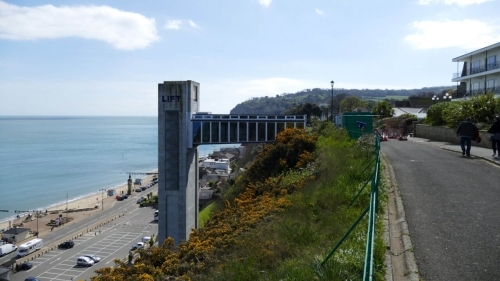 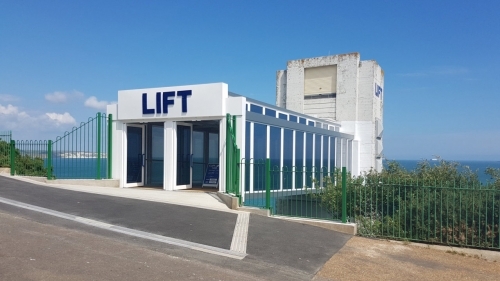 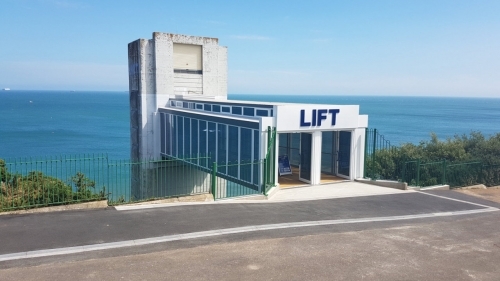 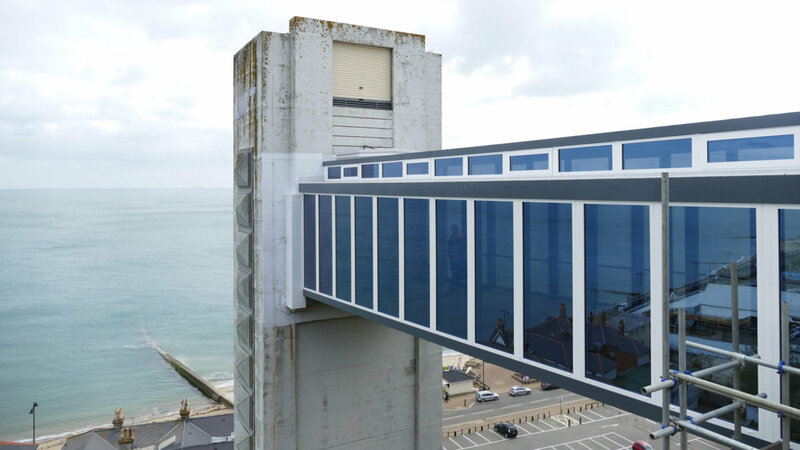 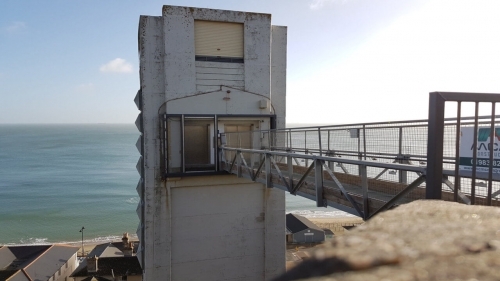 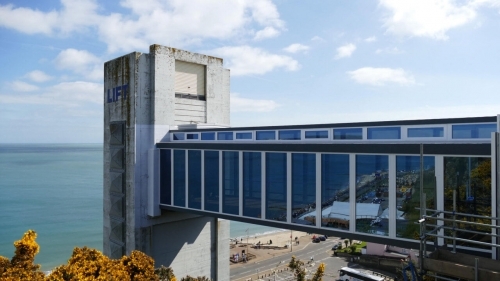 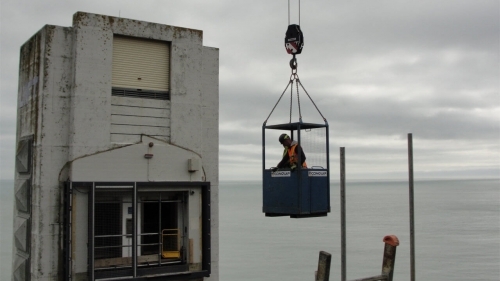 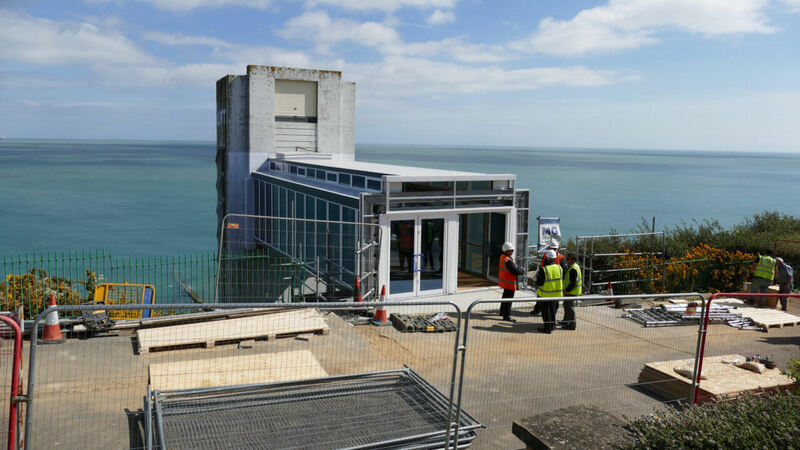 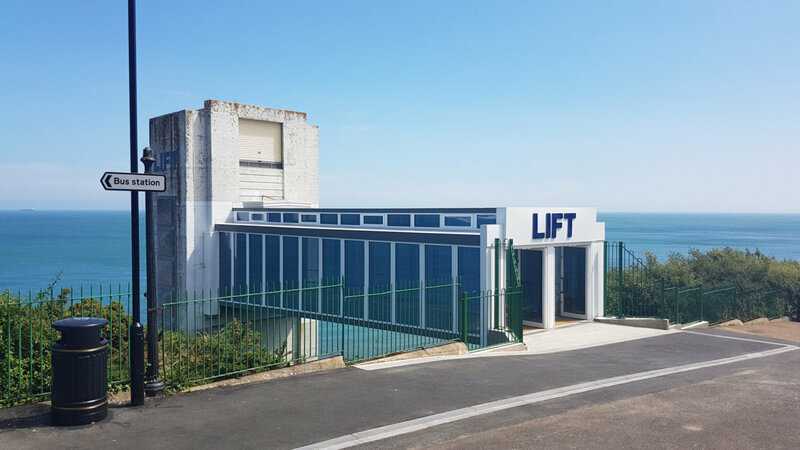 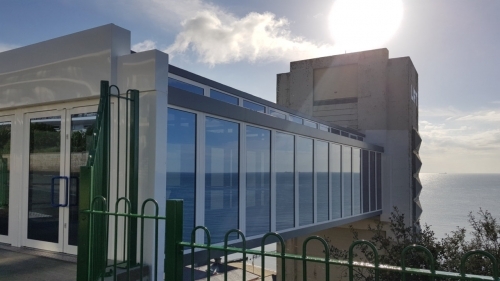 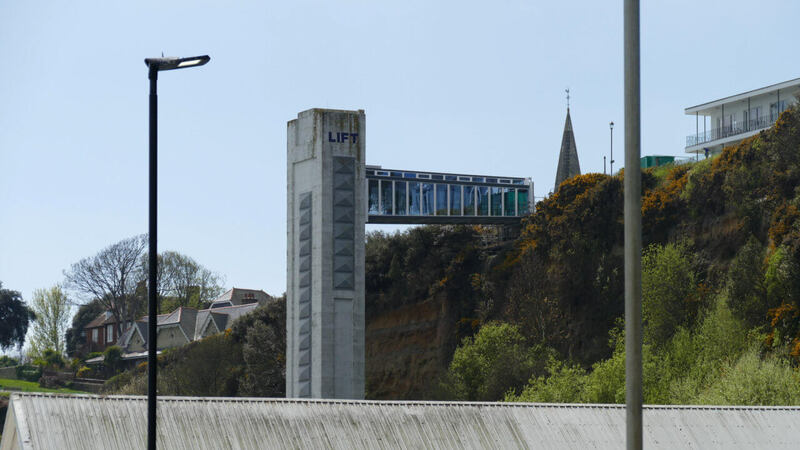 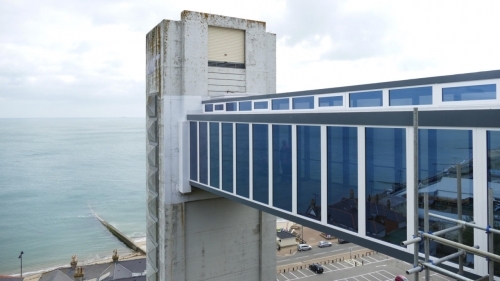 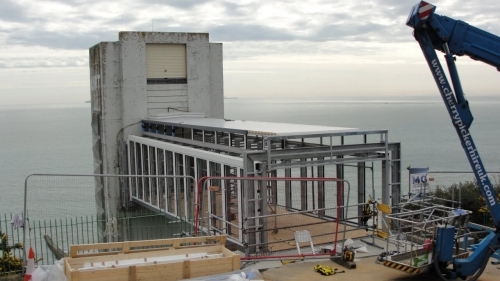 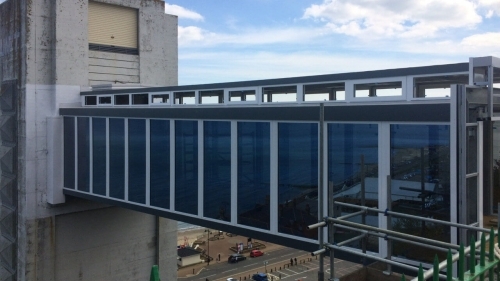 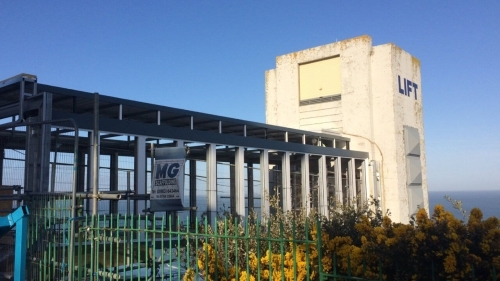 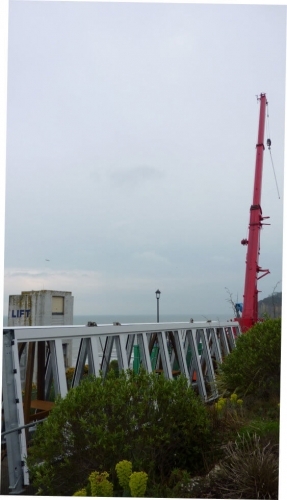 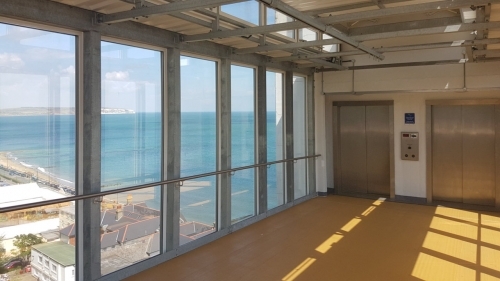 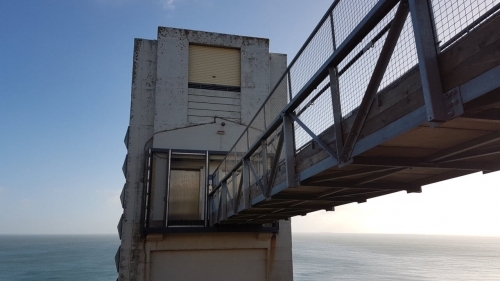 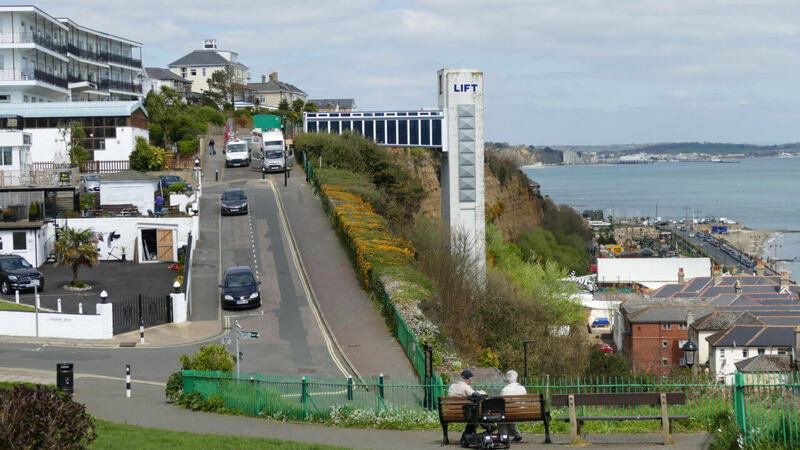 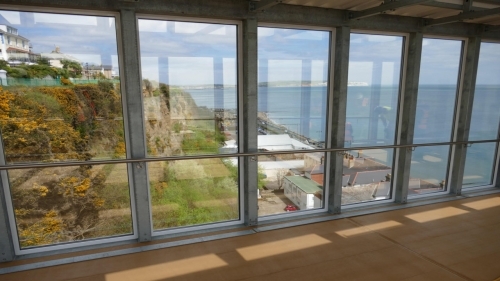 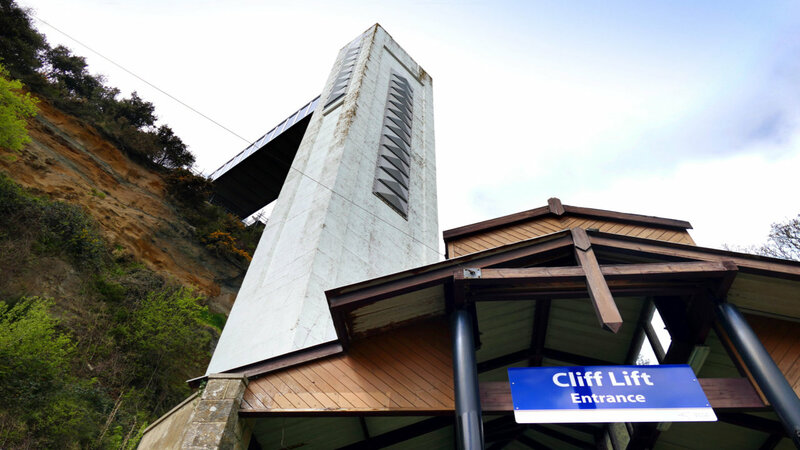 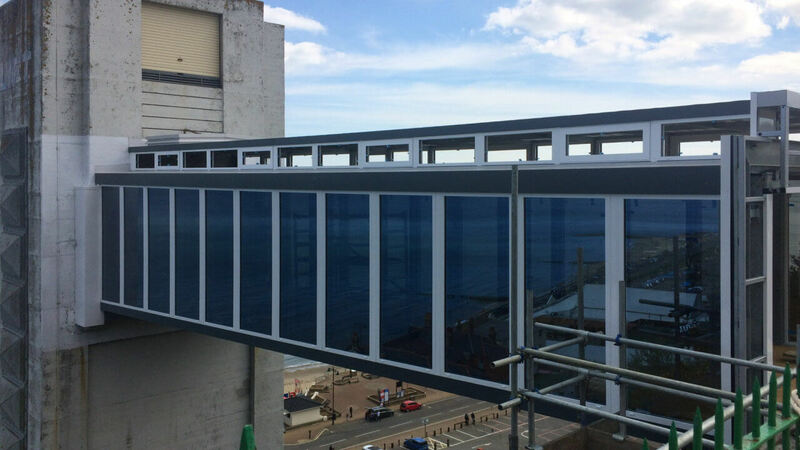 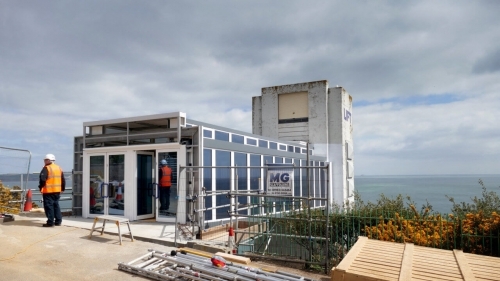 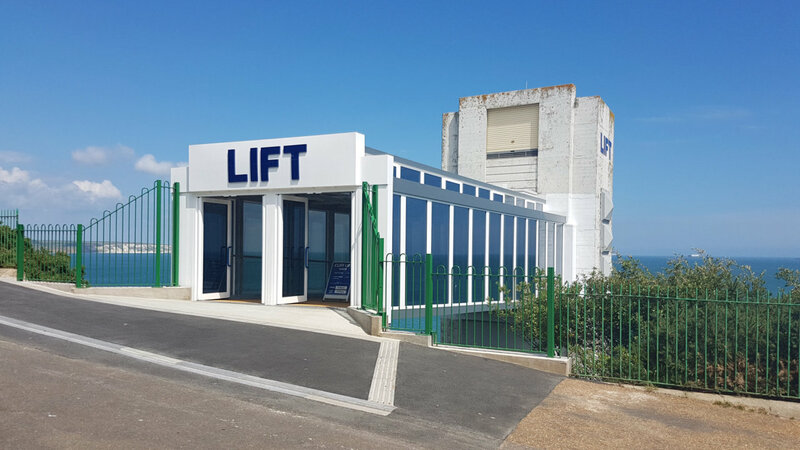 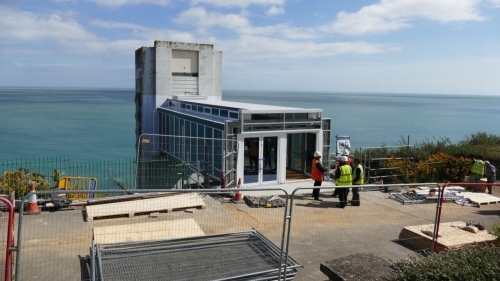 It was decided that the structure be replaced with a temporary walkway as future plans for a £750,00 overhaul of the iconic cliff lift were already in place, which included replacement of the walkway along with the lift cars, lifting mechanisms and motors. 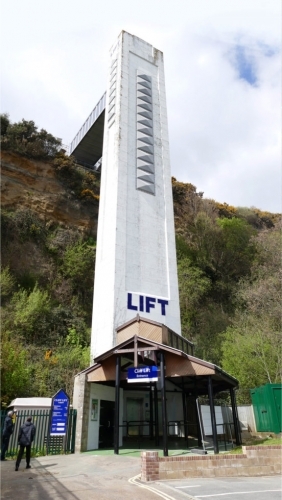 After reopening in Autumn 2015 with the temporary walkway and just one lift car in service a further major electrical fault occurred in 2016 forcing the lift to be closed indefinitely – however this facilitated the planned overhaul to be brought forward, with a window for completion that would allow the lift to be operational for the summer 2017 season.. 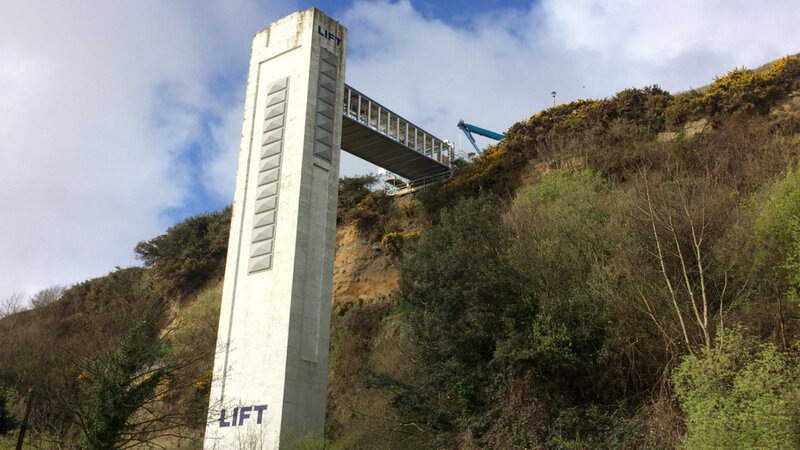 In January 2017, Reid Steel were appointed by MCM construction to design, supply and install the replacement cliff lift bridge. 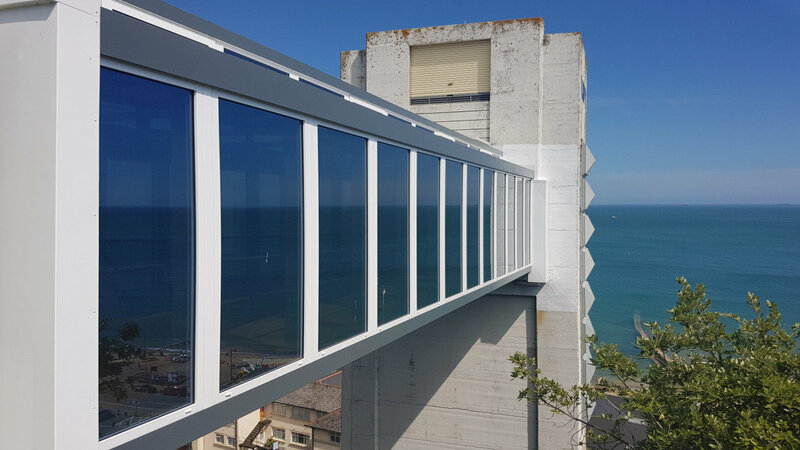 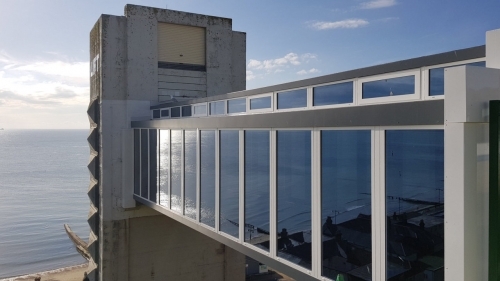 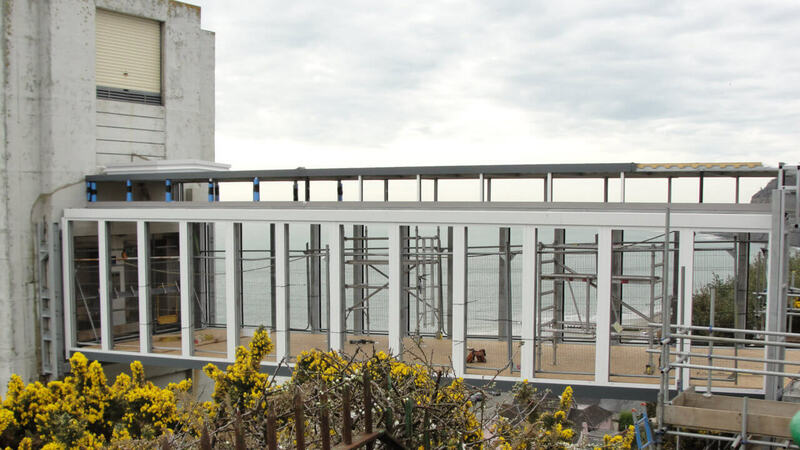 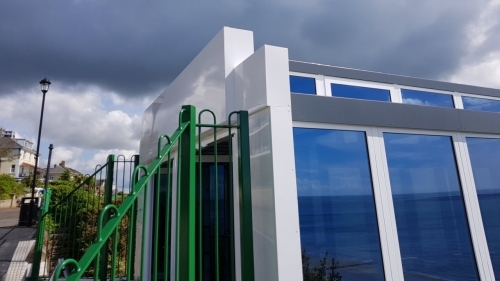 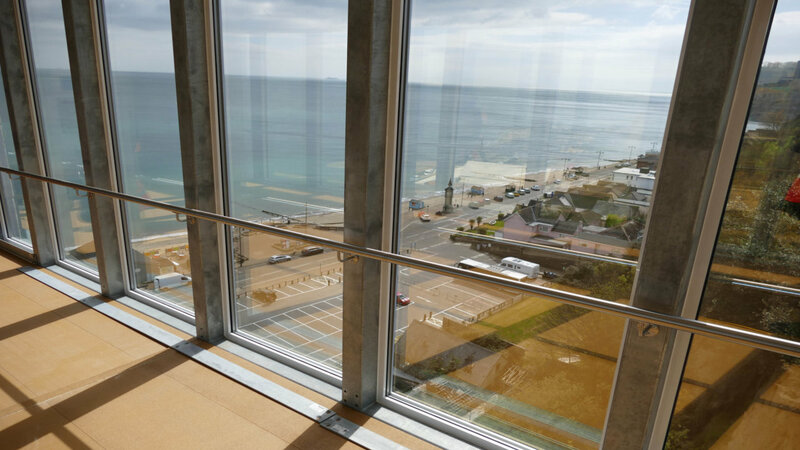 Due to the fragility of the cliff edge the project brief was technically and logistically challenging as the design could not exceed 12.6 tonnes including all of the glass, steel frame, floor and roof materials. 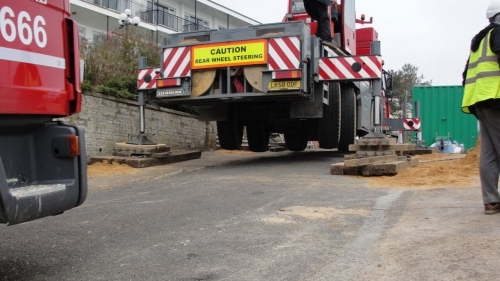 We were also heavily restricted by the conditions of the cliff top road made worse by the eroding cliff, so all operations were rigorously checked and monitored during the build process. 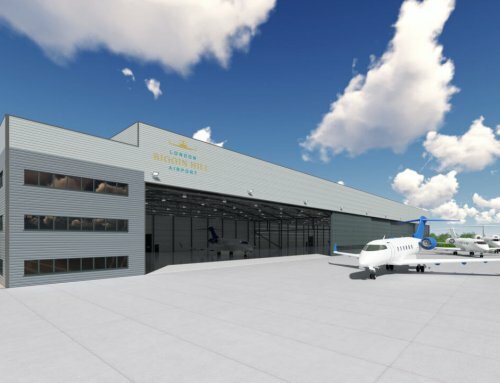 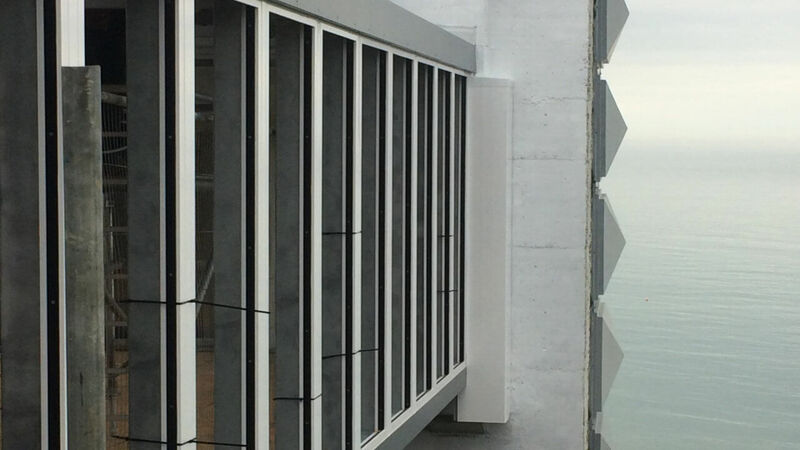 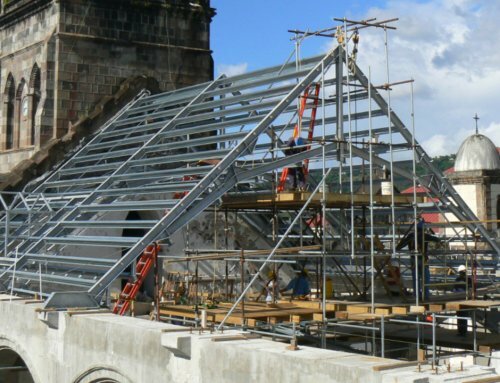 The steel structure is a less common Vierendeel truss design, meaning the structural members are not triangulated but form rectangular openings, and is a frame with fixed joints that are capable of transferring and resisting bending moments. 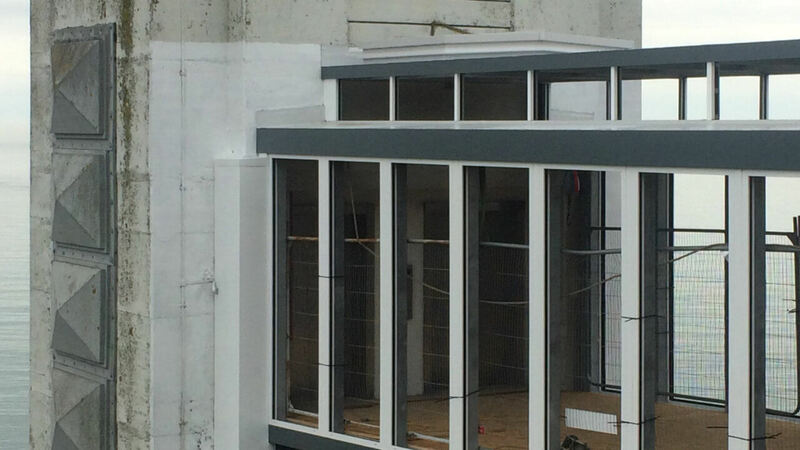 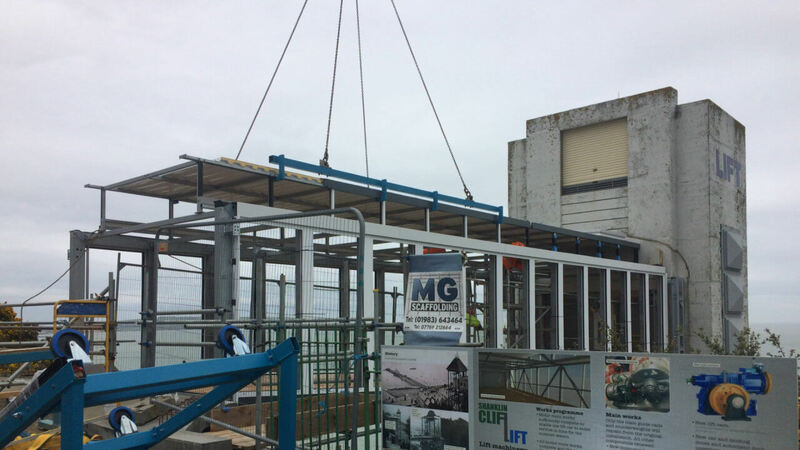 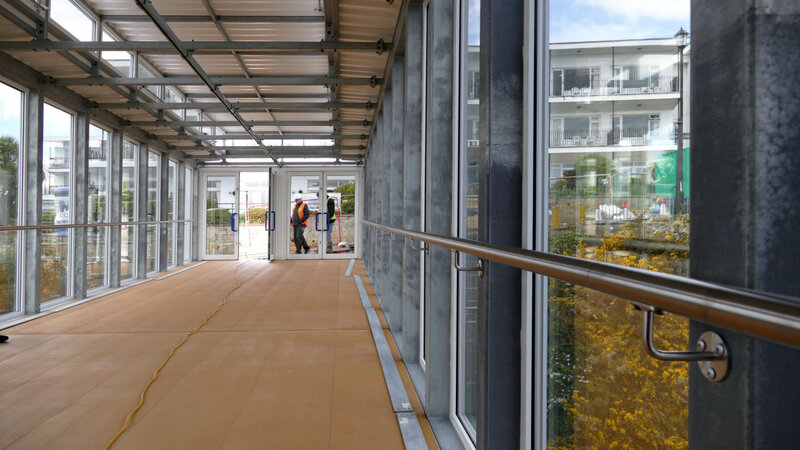 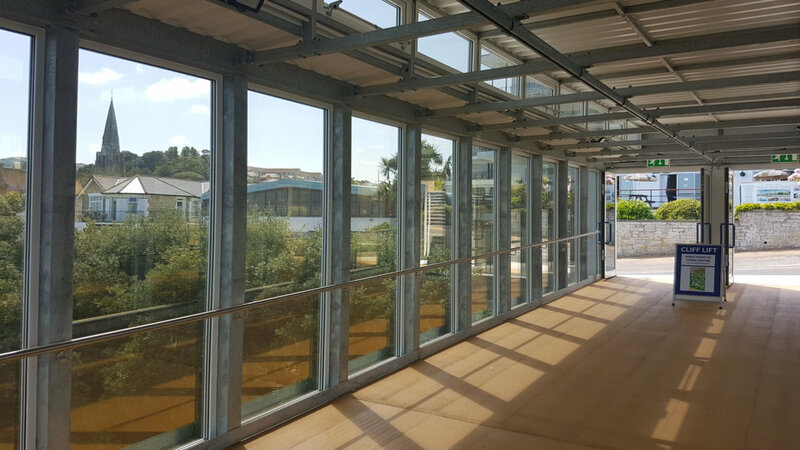 The two main truss modules were dressed with aluminium framing at our works in Christchurch to receive the glazing on site. 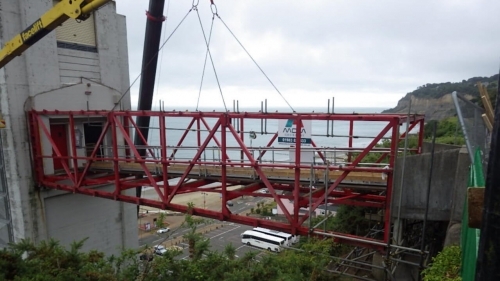 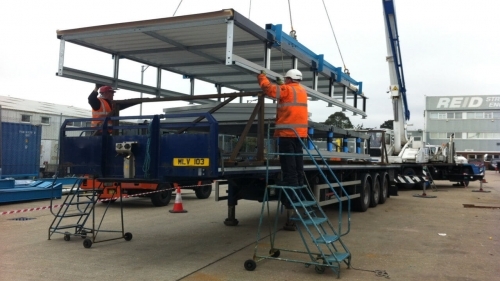 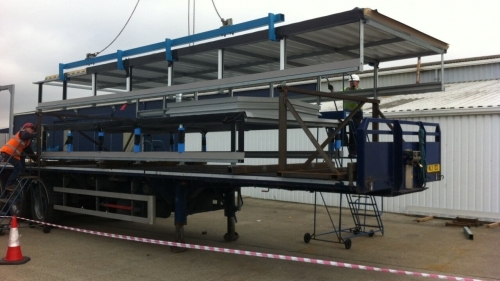 To do this we designed and constructed specially designed trestles to facilitate the part off-site assembly process that helped save time on site. 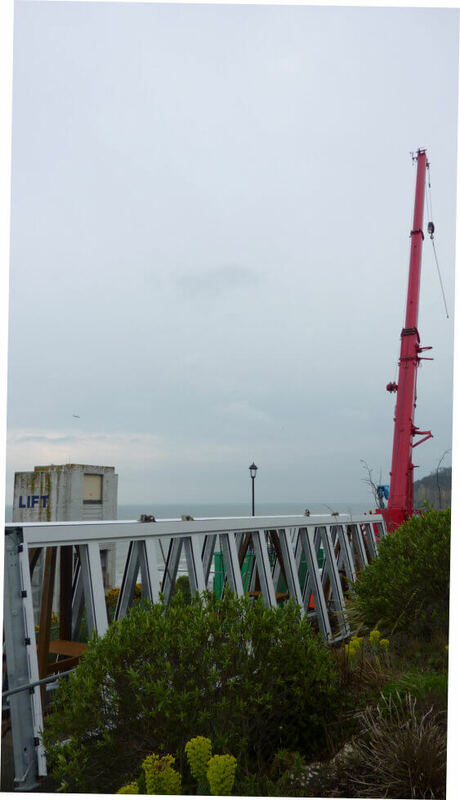 When the trusses were ready they were transported to site ready to be lifted from the trailer into position on the abutments and tower. 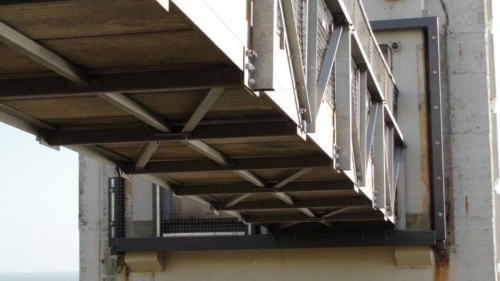 David Cooper said: Although the replacement bridge project was for a bridge structure much smaller than what REIDsteel is typically used to, the project was one of the most rewarding and challenging I have worked on in my 10 years at REIDsteel. 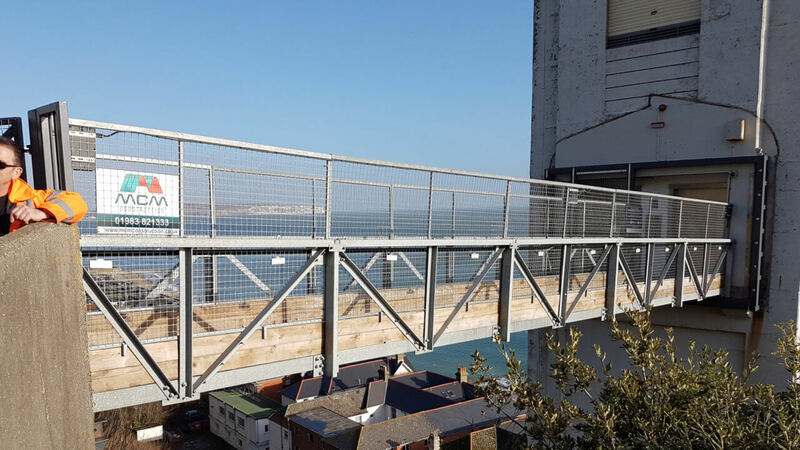 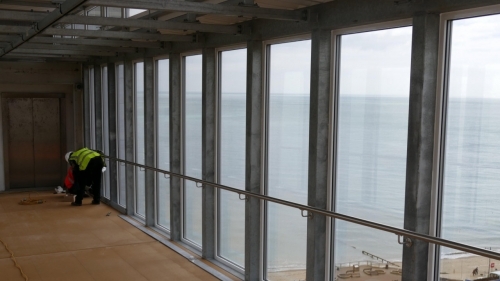 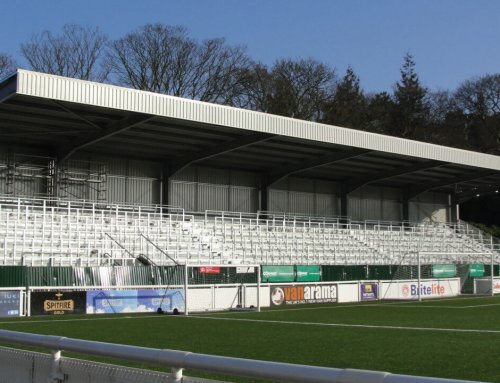 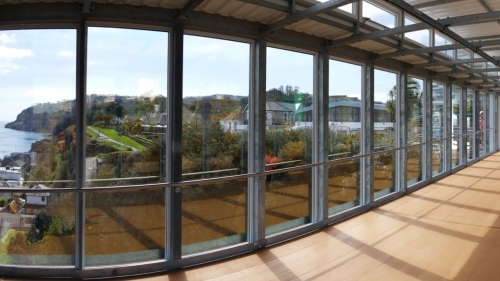 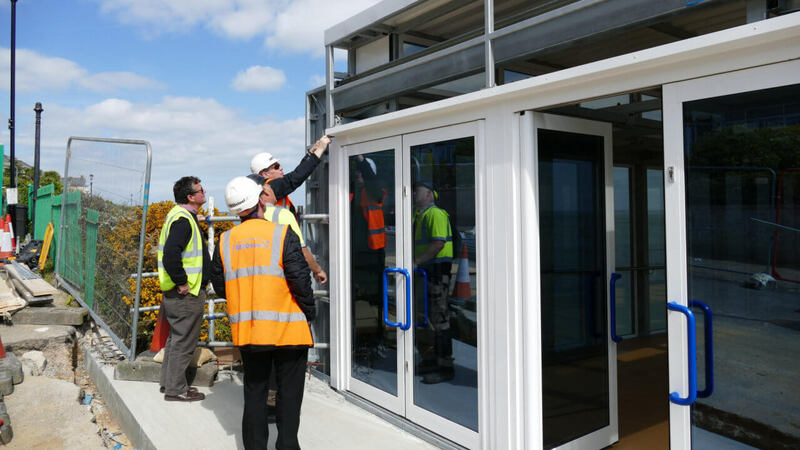 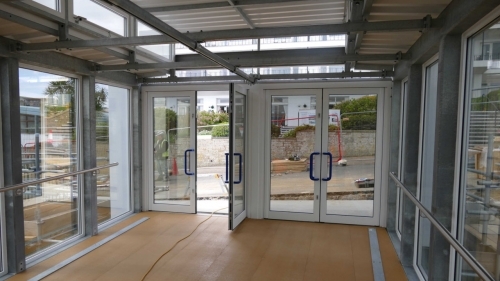 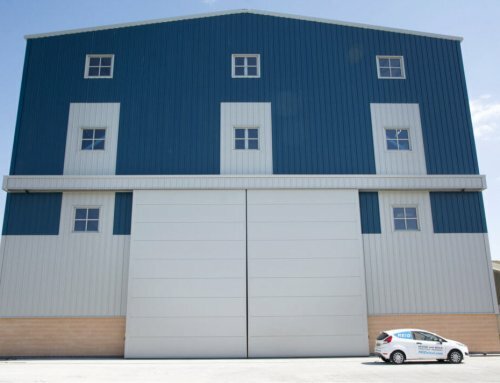 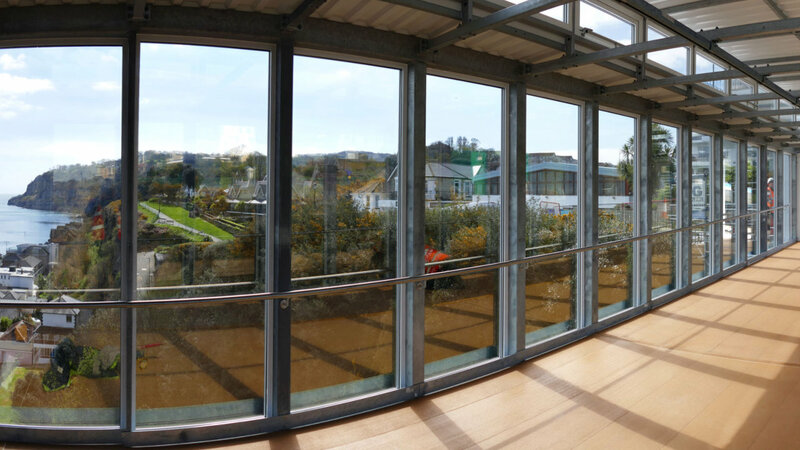 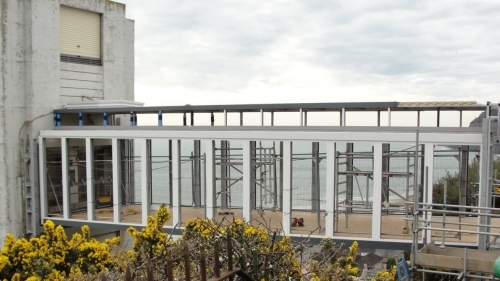 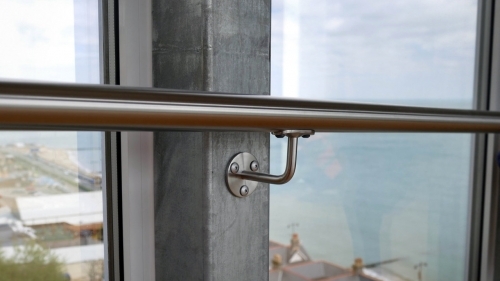 Our client MCM construction and the IOW council were a pleasure to work alongside. Subsequently everyone’s enthusiasm made the bridge opening possible in time for summer – another job well done and certainly another one that REIDsteel are proud to be involved with. 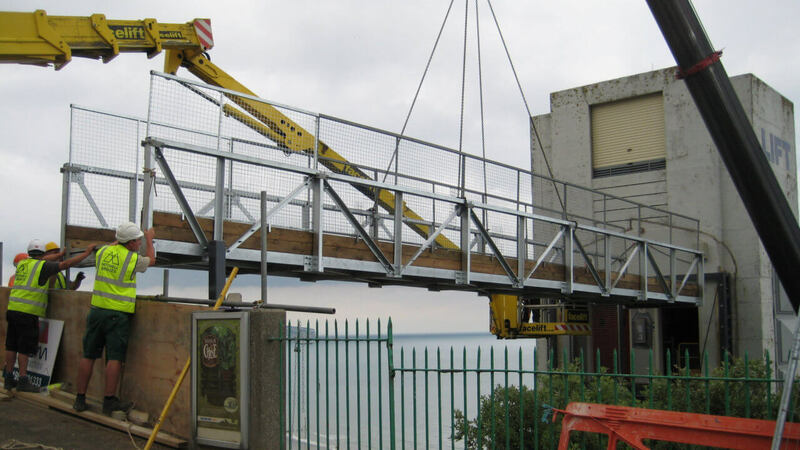 To help save additional weight we utilised a GRP deck construction, that will help our client reduce their maintenance of this part of the bridge. 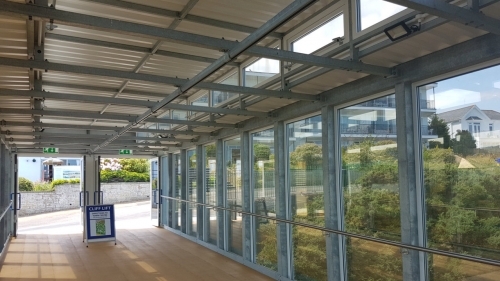 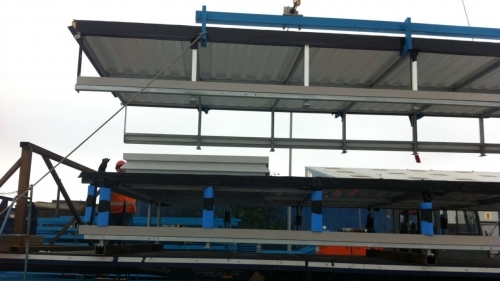 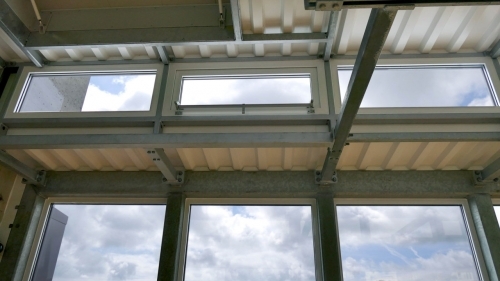 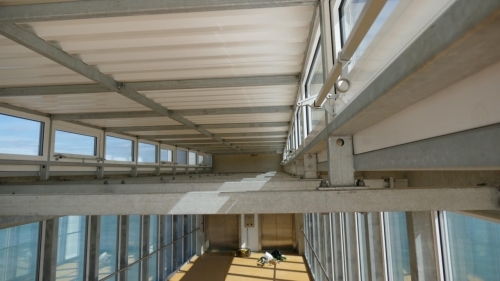 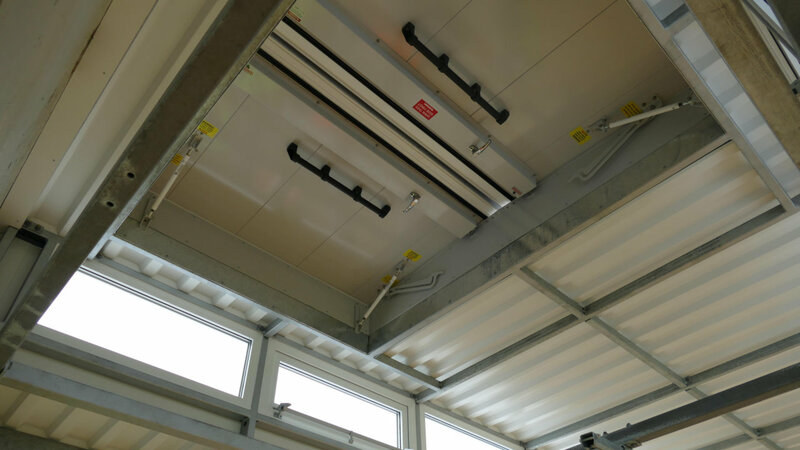 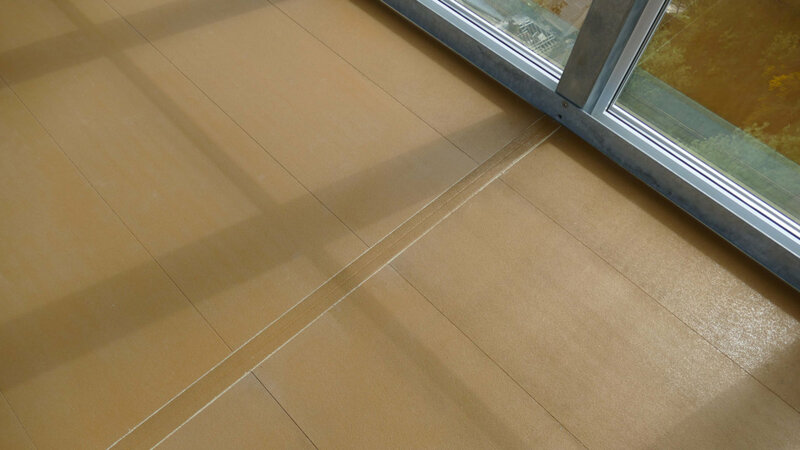 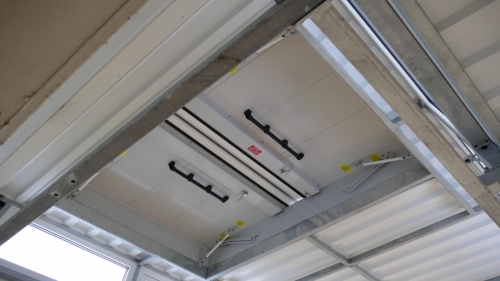 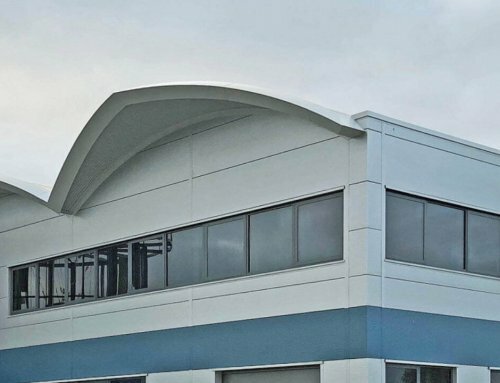 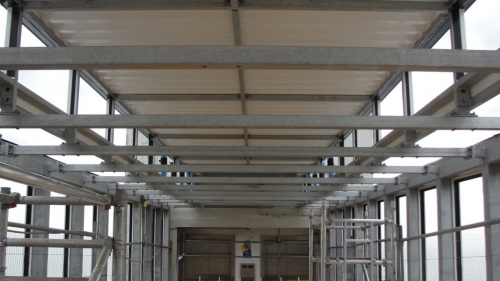 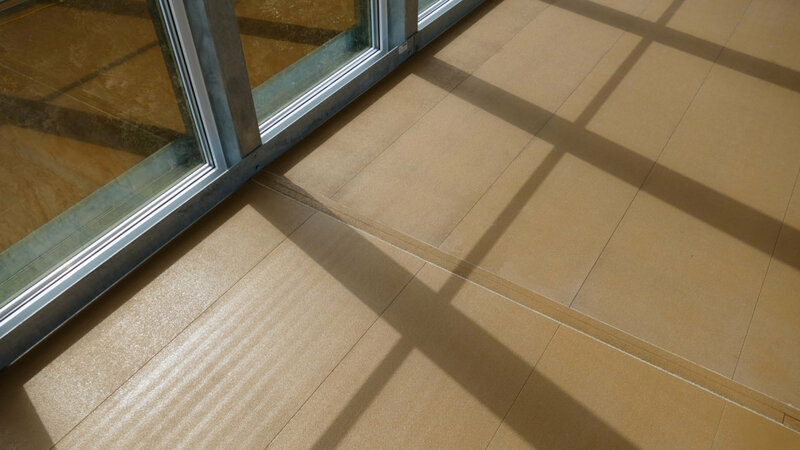 We also used a lightweight insulated membrane roof construction incorporating roof hatch so that the client is able to access the lift plant roof to install/remove new/old lift equipment when necessary.